MrAnimal Farm is a small farm that specializes in Silkie Chickens & Nigerian Dwarf Goats. MrAnimal Farm is located outside of Roanoke, in Moneta, Virginia in the beautiful Blue Ridge Mountains. We have several breeds of chickens for sale including Silkies (Paint, Porcelain, Partridge & Red Pyle), French black Copper Marans & Chocolate Cuckoo Orpingtons. 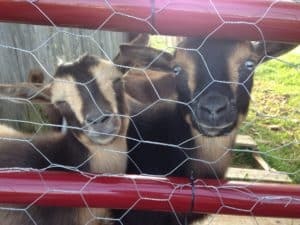 We also have Nigerian Dwarf Goats for sale. Additionally, we have goat milk for sale for animal consumption. 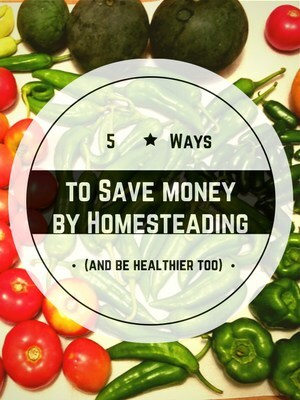 If you want in monthly homesteading tips, please sign up for our newsletter here. You will also receive a FREE eBook! Additionally, our newsletter subscribers will get exclusive news and offers. 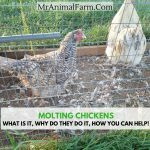 We publish a regular blog to give homesteading tips on subjects like square foot gardening, hatching chicks, raising goats and frugal living. Also, we post farming how to and cute animal videos on our YouTube. If you have any questions or are interested in any of our products, please feel free to email us or connect on social media! After spending time in “city” living we have moved to an area where we can have our own mini-farm complete with goats, chickens, a large garden, fruit bushes and trees, and quiet scenery. We started our little endeavor with gardening and quickly ventured into a flock of 17 laying hens. 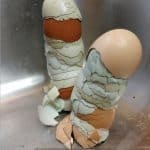 In our first year, we spent time growing our own fruits and veggies and collecting our own fresh eggs. This experience sparked our desire to do more. Next, we decided we would like to expand into dairy goats and hatching our own chicks. That has expanded us to where we are today with our homestead. We are excited to share our journey, chickens, goats and products with you as we grow and learn about farming on a mini-scale!